I was sixteen. It was just a solitary grey hair poking up in my parting. I was quite frankly appalled. Grey hair is what old people have, right? At least, that is what we are socialised to believe. 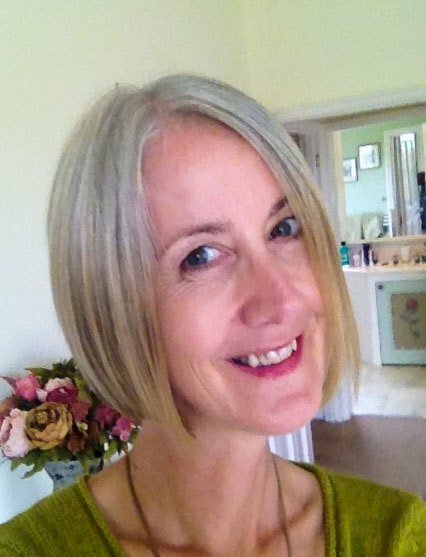 Of course the truth, I now know, is that loads of us are sprouting grey hair from our teens onwards, but since most of us dye it (around 75%), we all collude in this belief that only the old go grey. Back then I was ignorant of this. There was no way I was going grey so young. I yanked that lone hair out there and then. My mum had dyed her grey hair certainly as long as I’d been alive, and I was well-used to the ritual of home hair dye kits. My dad used to don the plastic gloves and do it for her in our kitchen. I learned early on that there is a ready solution for grey hair and it comes in a box. My family didn’t comment much about my hair back then, not in the early days. I do recall later, once I had more grey, my mum and four sisters always commenting on how lovely my hair looked after it had been coloured. I had the feeling that they (and I) felt it looked better dyed. My mum sadly died before I decided to grow out my grey hair. My sisters were supportive when I told them, although I recall one being slightly shocked and expressing concern that I’d look older (especially as I was the youngest sister). My friends had mixed reactions. Quite a few commented on how brave I was being to swim against the societal tide that tells us women must never give in to ageing. “Don’t do it! People will think you are older than you are,” they cautioned me. 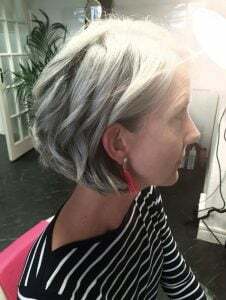 Because going grey is quite possibly the worst thing you can do as a woman if you really want to fool the world that you’re not ageing. 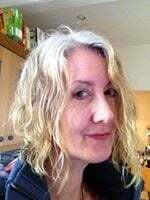 I fooled around with those wash-in wash-out toners initially, maybe from the age of sixteen. I then progressed to the odd box dye or semi-permanent. From my mid-thirties onwards it was dyed regularly, and I stopped when I was 48. So overall thirty years or so, though the purposeful grey coverage was more from my thirties onwards. Both really. At first, it wasn’t just to cover the grey, it was because, well, hair dye is kind of fun, it’s what most of my friends were doing too. 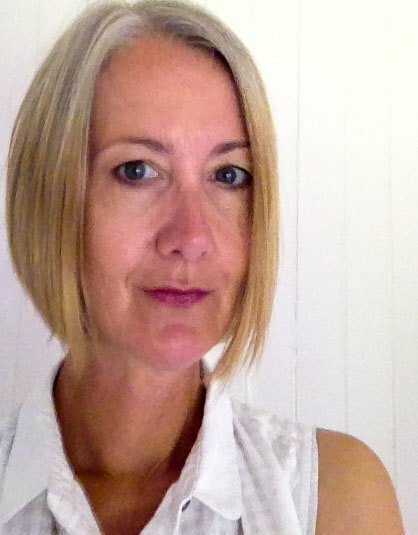 onerous trips to the hairdresser for semi-permanent colour, those darned grey hairs multiplied exponentially once I had my kids. The semi-permanent colour just didn’t cut it anymore. 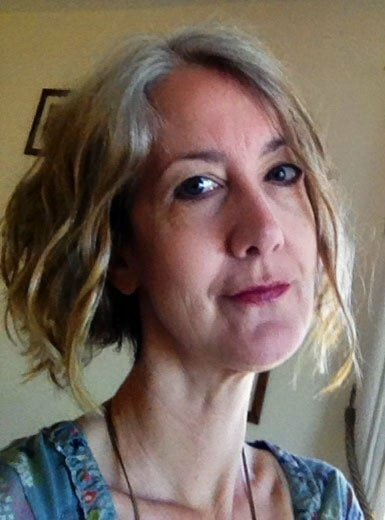 At that point, my then-hairdresser, in what I now realise was a rather bold (not to mention financially compromising) move, suggested I just roll with the grey and embrace it. “You’ll look amazing!” he enthused. He refused to use permanent dye. I considered his suggestion for all of ten seconds, thanked him, paid my bill and promptly changed to a hairdresser who promised we’d find a more permanent solution, which of course we did. 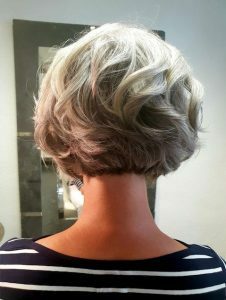 I left the salon after my new hairdresser had blitzed my grey hair with a complex cocktail of chemicals feeling invincible, magnificent. In the words of one of my good friends Joli, “Age smage”! I realised it is not, after all, permanent! 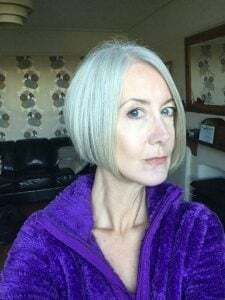 As I hurtled through my late thirties and early forties, I found myself needing to touch up my burgeoning grey roots at home every fortnight. It slowly dawned on me that it was insanity. It cost a fortune and the colour itself faded and didn’t really look that good for very long. My life and indeed, my work and social calendar, revolved around hair appointments. I’d literally plan my diary based on when my next hair colour was due for fear of turning up to some social or work engagement with a shaming skunk stripe atop my brunette head. My current hairdresser had already said she’d help me if I decided to do it. I opted to get my heavy term of lecturing out of the way because I didn’t fancy teaching a room of 300 students with a skunk stripe, and started in December of that year. How did you transition to grey? 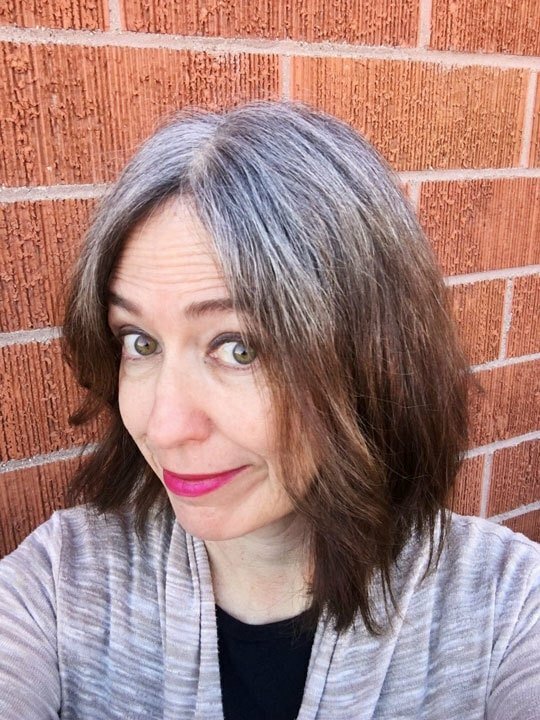 After chatting with my hairdresser, we decided to let the grey grow for a few weeks to see what it looked like, then she would tint my dark brown hair as light as she could go without bleach, cut it sorter (to a long bob length) and then we’d see what happened. So we did this. Honestly, at first, I detested it. I recall the walk of shame up the high street the first time I left her salon with an inch of roots on show. It just felt wrong. I invested in WOW root powder for the first few months to help me get used to it. The next haircut my hairdresser added in some blond foil highlights. I kind of liked being blonder for a change and whilst it didn’t mask the demarcation line totally, I think it was better for me than cold turkey. And thereafter I just went with it. I kept my hair in a good sharp cut, and in time grew brave enough to stop applying the root powder. Actually, after a while, I rather liked feeling subversive and rebellious (so not me, truly!). If you’ve finished transitioning, how long did it take you? How do you feel about it? I’m done. 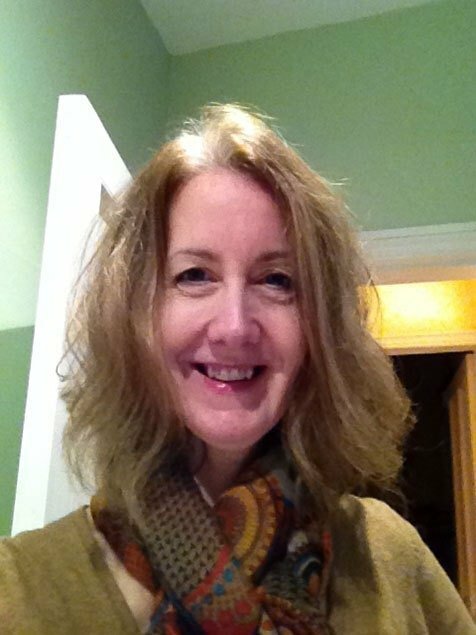 I was, as I promised myself, transitioned in time for my 50th birthday in April 2016. So around sixteen months. I must admit the bob had to keep going shorter and shorter to reach that target! Any products you recommend for transitioning hair? WOW Root Powder helped me get used to the skunk stripe for the first few months, and I weaned myself off it gradually (parallels with any other kind of substance abuse are not entirely unjustified, stopping hair dyeing really is like giving up an addiction). Once I had more silver hair showing I started using White Hot products (see below). Anything you do NOT recommend? I used L’Oreal Expert Silver shampoo and probably used it too often. Over time my hair grew rather dull and dark. I did not find the White Hot Hair Brilliant shampoo made any difference at all to my yellowing issues. 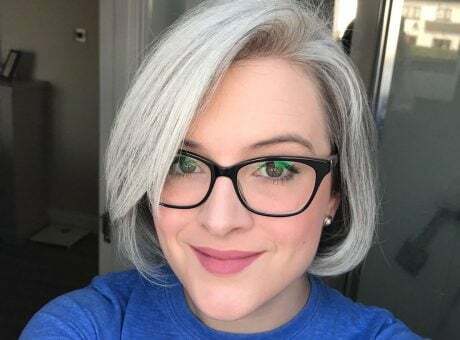 At first, I thought it did but realised that the lighting in photos makes a massive difference to how silver your hair looks and when I did a really controlled comparison it was not that effective for me. I would say that any advice here is just mine, and others may disagree. It seems not all products work for everyone. Any products that you recommend for fully gray or silver hair? I do like White Hot Hair Glorious Shampoo and Luminous Conditioner for regular use. I have struggled with yellowing, and think this is for me a combination of heat damage from hair straighteners and deposits in our well water. I fitted a filter to our shower which I’m sure has helped, and cut down the amount of straightening I did (plus dried it on a cooler setting). I feel like I’m on top of it now, but I do have a few products to recommend that I will still use: Schwarzkopf Goodbye Yellow Shampoo (purple) is sulphate free and fab; Kevin Murphy Blonde Angel shampoo and conditioner is also sulfate free and smells lovely, but I still think the Schwarzkopf one edges it for me. I also use a toner occasionally, Garnier Perfect Silver in the lightest shade (to be honest it is just like a purple shampoo really). That is a real rescue remedy for yellow hair for me (though some people react to it so do the recommended patch test). Do you use any online resources for helping you in your transition? Yes. Looking around, I didn’t see many women my age who didn’t dye their hair, certainly not among my circle of friends. Did such women exist, and if so, where were they? I went online and found some quite inspirational images of silver-haired women on Google and Pinterest. Women like Roxanne Gould, Sara Sophia Eisenman and Sarah Harris looked fab. Blogs and vlogs were also in evidence, and a number of meticulously illustrated diaries of various women’s ‘grey hair journeys.’ So that was a start. Then, remembering how I’d used online discussion forums years ago to help me through the child-rearing years as a clueless parent of a colicky baby, I thought perhaps forums might also exist for those of us tired of dyeing our hair but apprehensive about how to go about it. I hit Facebook and typed in Grey/Gray hair and it turns out there are loads of Facebook groups (even more if you type in Silver). I joined quite a few, but came to realise they are not all the same. Some are quite prescriptive about having to do this transition cold turkey, and are quite vocal and unkind to dissenters who wobble and get highlights or tints to make the demarcation line less obvious. That was not for me. And there is only so much time one can spend scrolling and interacting here (trust me). So I settled on one whose non-judgmental ethos best fit mine: The Silver Circle. I’m now firm friends with women all around the world in this group and occasionally meet up with one or two. We really are a worldwide Silver Sister family. I love that and draw so much strength from the fact. I wrote a poem that sums up what this wonderful group of women did for me (see below). Did you find that going gray also prompted you to make other big changes in your life? Did it prompt a change in your attitude? After the first few months, I realised it can actually become fun, growing into this silvery new you. Subversive even. As someone who’d always followed the rules, it felt naughty to deviate from the societal diktat that says women must not visibly age. 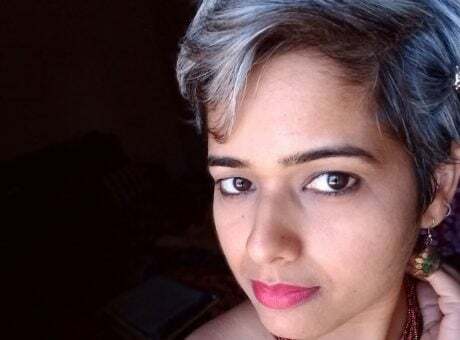 After a while, I’d walk into a room without even thinking about my crazy two-tone hair (or my ‘silver ombré’, as I preferred to think of it because positive terminology is all). I developed reserves of self-confidence that had eluded me my whole life. I was finally growing into myself, owning my age. I liked it. 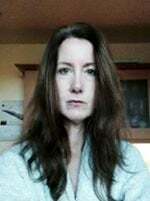 And I started to ponder ageing more generally, especially as a woman. I began to question the received wisdom I’d mindlessly absorbed over the years: stay young at any cost, fear age. We are ageing from the day we are born. There’s a lot to be said for every stage if we stop fighting against what is, after all, a natural process. I’ve been evolving my whole life, from child to teen to young adult to mid-lifer. Each phase brings with it both benefits and costs. Why should this stage be any more shrouded in negativity and fear than the ones that preceded it? Why can’t the glass be half full when we speak of growing older? 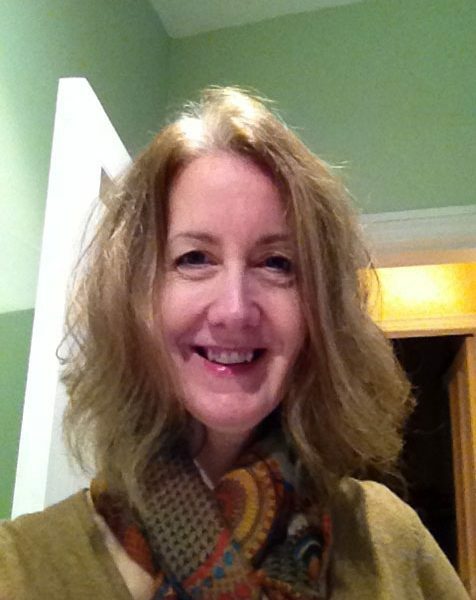 As I grew more comfortable with my hair, I scrutinised the rest of my outlook more closely. Whether or not I now looked older with grey hair, I realised I no longer cared. Somewhat perversely, I actually felt younger. Casting off the heavy burden of society’s expectations that I may not age was curiously rejuvenating, as it turned out. I began to consider other aspects of getting older aside from the physical signs. My whole mind-set shifted. I observed that the crippling insecurities that had dogged me from my teens onwards, the sense that I was never quite good enough, had finally started to fall away. I recognised and valued the hard-won experience I’ve accrued across my first half century that has made me wiser. Finally I’m getting a sense of proportion, figuring out what is truly important. I’m more than good enough. My experiences have empowered and emboldened me. Always cautious and reserved, I have begun to try new things, to take risks, to forge new connections. I now eschew those irritating rules about “What not to wear after fifty” and instead take pleasure in wearing stuff I’d formerly rejected as too young for me. My teenage daughter and I now swap clothes. Biker jackets, pleather trousers, over-the-knee boots, dungarees, shorts, have all found space in my wardrobe. And I love them! I also welcome opportunities to celebrate growing older and realising I love where I am in my life. So this past couple of years I’ve taken part in a number of photoshoots celebrating being happily silver (e.g., for Ben Winkler’s Faces of Silver project and Vanessa Mills’ Naturalistas project, and modeling projects that seek to break down age barriers (e.g., for fashion label The Bias Cut). My “Why ever not?” mindset has also introduced me to photographer Gary Milo. On a whim I entered his Fifty and Fabulous competition for a makeover shoot and won. We had so much fun we’ve kept on working together ever since, setting up themed shoots together with my fellow silver friend and virtual stylist Liz Eremenko that we hope capture the sheer joy and mischief of growing older as a woman. The process has opened new doors for me in my job as a university psychology lecturer, too. 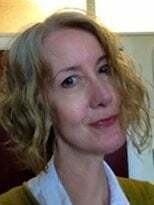 I’ve had a lifelong interest in stereotyping and prejudice, and have started now to focus on the gendered ageism that affects women especially in the midlife years. 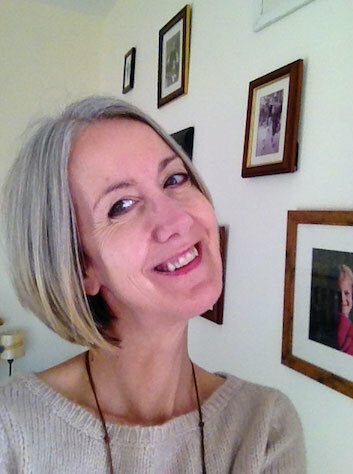 Currently, I’m exploring how online communities, blogs and vlogs for women – on all topics, whether it’s menopause, style, going grey or becoming a midlife entrepreneur – can support and empower them to embrace this phase. It makes a beautiful story and I’m keen to tell it. I’m also getting more involved in older women’s issues in the workplace and am taking on the responsibility to coordinate our new menopause policy in order that we women can feel supported during this natural, but at times challenging, phase. I was featured on The Faces of Silver Podcast talking about my research. In addition to the academic stuff, I’m doing guest blogs and features, including a guest blog on Ashton Applewhite’s This Chair Rocks blog, have secured a regular psychology/ageing column in Goldie Mag (which shares my own views on positive ageing), I’m planning to write a book, I now have an Instagram account where I post about a range of stuff relevant to women and ageing, and I’m embracing any opportunities I can to get the word out that this phase of life can actually be more than OK. I re-read what I just wrote and am astonished how much my outlook and activities have shifted here. I love it! I wish I’d done this years ago, but it was just not on my radar at all. 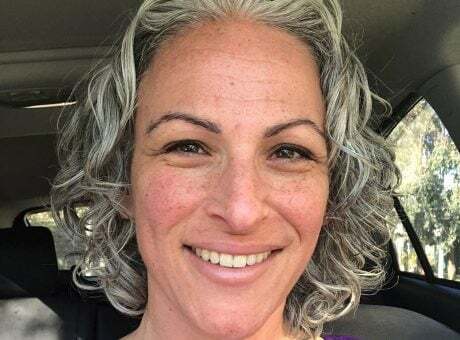 I sense a shift in perceptions as more women are visibly rocking their grey hair and setting an example for the rest of us. I’m hoping that will encourage more women to give it a go sooner rather than later. But at the end of the day, it’s an individual decision. It’s about feeling we have a choice here. I’d hate any woman to feel coerced into going grey. I get the appeal of hair dye, I was its biggest fan for years. But, if you are contemplating it, dive in, and maybe get support from the worldwide community of silver sisters online. It is tough at first, and you might like me feel like fading into the background with a paper bag over your head until it’s over, but that feeling passes, and then you realise you are on to something very empowering and perception-shifting. And if you don’t feel like that, that’s fine too. Go back to dyeing. Women need to feel free to make their own decisions here. Whatever you decide it is only hair. My interview for the Faces of Silver Podcast series: https://itunes.apple.com/us/podcast/ben-winklers-faces-of-silver/id1338194620?mt=2 (I am Episode 5). they calmed me, my online silver sisterhood. Told me to post a picture of my progress. I hated it, hated feeling so darned unkempt, so untogether. As one voice they fed back to me that I looked terrific. What kind of falsehood is this? No, actually I look like crap! realised they saw what I did not see. What did they see that I couldn’t? They saw my POTENTIAL, the person I was becoming. Saw past the mishmash of colours. Very interesting story. I wasn’t that brave that young. I was going to my grave with dyed hair but than I was getting so tired of doing it. I was 78yrs when Ibstarted it. 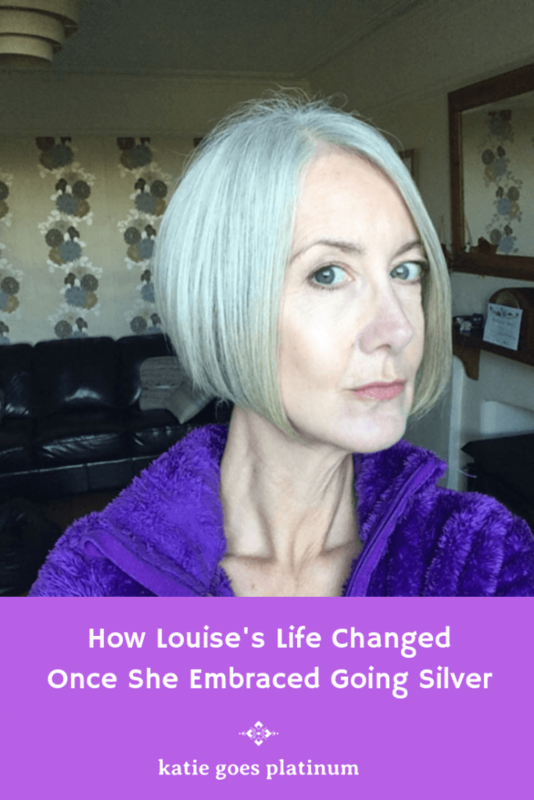 Louise is the ultimate age positive advocate. So glad that you shared her story, Katie. This was such a great story to read and I love it that choosing to stop coloring her hair affected her in so many positive ways. Awesome! Love this. The poem actually brought tears to my eyes. So very true. We are brave to do this …. the concept of a world wide support group is pretty amazing. Thanks for the links too. A beautiful story told by two beautiful women to inspire us all. Thank you. Thanks, Natalie – that means a lot!